Happy 2015! It’s a new year and the perfect time to scrub away all of the yucky layers from last year. 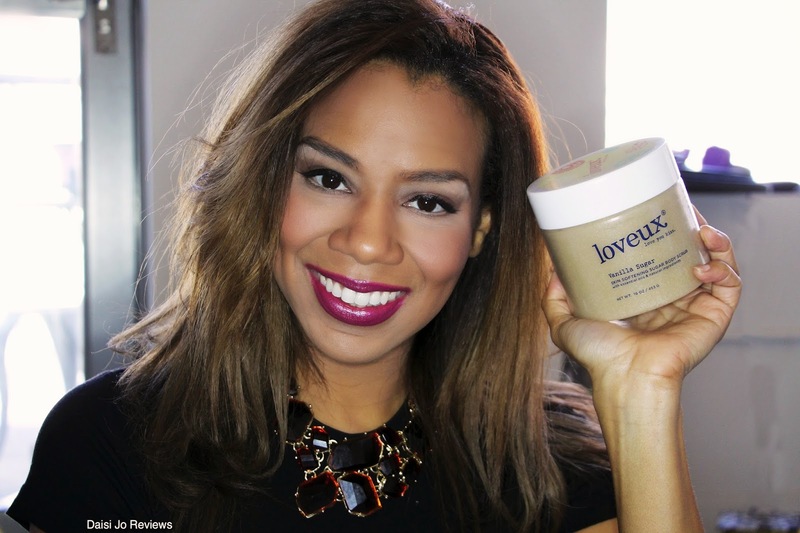 So why not do it with something super yummy, Loveux’s Vanilla Sugar Body Scrub! This came as a Christmas gift and I used it today and feel in love with the smell and texture of it. It is absolutely amazing at leaving your skin soft and moisturized. The scrub has extra refined granules that make it extra thick and dense. I personally think the scrub can double as a candle because once you open the jar the aroma fills the room! In my video I try to recreate the experience for you, check it out!